Overview of upcoming Horizon 2020 Info days and Brokerage events. Over the next few months a number of Horizon 2020 Information days and Brokerage events will be taking place to which are aligned to the recent release of the updated Horizon 2020 2017 work programme. Several of the Information days will be live streamed so you can join remotely if you are unable to attend or secure a place. The aim of the event is to give the research community an overview of ongoing activities in the following PPPs : Factories of the Future, Energy-efficient Buildings, Sustainable Process Industry and European Green Vehicles Initiative. Support will be given for the preparation of proposals for the 2017 calls. The event will be web streamed and recorded. After the event, all presentations and links to the recordings will be published on this page. Further details can be found via the follow pages. The event will address potential applicants to the Horizon 2020 'Smart, green and integrated transport' calls for project proposals under the 2016-2017 Work programme. Presentations of the information day will cover the various topics open for submission and the application procedure, as well as provide detailed information on the calls. The event targets potential applicants to the 'Smart cities & communities' topic of the 2016-2017 Horizon 2020 Work Programme ‘Cross-cutting activities’, and in particular the 2017 call. Presentations will cover the call content and the application procedure. A networking event will take place in the second part of the day. The event targets potential applicants to the calls for 'Smart Grids and Storage' projects, which will be funded under the 2016-2017 Horizon 2020 Work programme 'Secure, clean and efficient energy', and in particular under the 'Competitive low-carbon energy' (LCE) call (topics: LCE-01-2016-2017 , LCE-04-2017 and LCE-05-2017). Presentations will cover the call content and the application procedure with a networking session will take place in the afternoon. The European Commission is organising an Information Day on the upcoming . It includes a brokerage session facilitated by NCPs CaRE, the network of National Contact Points for Horizon 2020 Societal Challenge 5. This event is jointly organised in the framework of the European Biotech Week by EPS biotechnology, a Czech biotech SME performing R&D in environmentally friendly remediation techniques and waste management, and CZELO, the Czech Liaison Office for Research, Development and Innovation in Brussels. BIOTEC-07-2017: New Plant Breeding Techniques (NPBT) in molecular farming: Multipurpose crops for industrial bioproducts. 11 October 2016 from 9.15 to 13.00. Brussels. 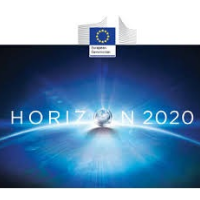 The European Commission, in collaboration with the Belgian national contact points for SC6, are organizing an Information Day on Horizon 2020 – Societal Challenge 6 ‘Europe in a changing world – Inclusive, innovative and reflective societies’, work programme 2017.